On Sunday, November 1st, friends and family of Highland Park and Capitol Hill students gathered in The Shanty at O’Gara’s Bar and Grill to listen to some great music. Many groups performed including the Highland Park Senior High jazz band, the Highland Park Junior High jazz band, The Capitol Hill jazz band, a few string trios and even some bands that people from our own school created. There was a silent auction, gift card grab, and even a drawing to win four tickets to a Minnesota Vikings game! There was a lot of Highland pride shown throughout the night from the musical acts. The Highland Park Senior High jazz band, lead by Joel Matuzak, played many songs including “Birdland” arranged by Michael Sweeney and “A Night In Tunisia” also arranged by Michael Sweeney. They played with a lot of energy and they were a real hit among the crowd. Some of our own Highland Park Senior High students preformed in their own bands like Escaping Evolution and Makeshift. The crowd really seemed to enjoy the different vibe these bands brought to the event. This event was created to help raise money for the instrumental music program at our school. The money that was raised will go towards fixing instruments, buying new instruments, buying chairs and stands, and many other items. Schools around the country have been cutting funding to art programs in schools and many have been struggling to keep the programs alive and running. Thankfully, here at Highland we have many active parents who want to support the program, and they make events like these possible. There are a few people that especially helped, such as Vineeta Sawkar, Katie Sterns, and of course our own instrumental music teacher Joel Matuzak. 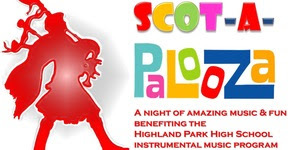 I think this was a great way to raise money but also to enjoy the musical talent of many Highland students.